* Available with iOS & Android for smart Phone via bluetooth to get notification for incoming phone call and messages. *Talk time:3.5 Hour/2G , 2 Hour/3G. *USB2.0 USB 5 pin ,Recharge stand. * Brand-new Private-designed Watch Dials for option and more on the way from Finow Server. Same as its\'predecessor, X5 Air will come with same housing of stainless steel, which is made after CNC processing and 5 times grinding and polishing. With the classic design for X5 Air, the genuine leather strap is the best match for it, which supplys the durability and comfortability for users. Based on the O/S Andorid 5.1, more Apps will be available for final users for entertainment. To match its\' position in market, X5 Air comes with Class A AMOLED display enpowering awesome experience in color and brightness. You can wake up the watch to lighten it up by flipping up. In order to make it much easier in operation, X5 Air comes with the brand-new interface in main menu for users to review and selelct. 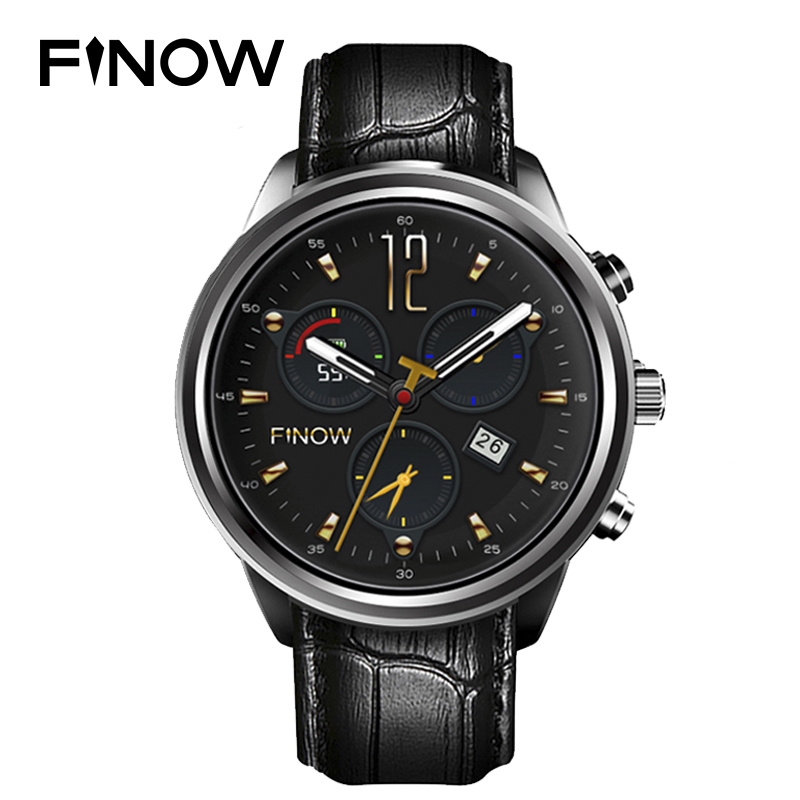 To celebrate the X5 Air coming, Some new Finow\'s exlcusive watch dials with fresh design will be shown together with it. More is on the way and will be released. No matter where you are, it remind you the local weather when internect connected. With bigger storage, it enables you to enjoy music via Bluetooth.